Have you ever wondered how many turkeys a modern HD pickup truck is capable of carrying? Well, neither have we, but the folks over at The Drive decided to put their hypothesis into overdrive and see if they could figure out just how many turkeys each of the modern full-ton trucks From Chevrolet, Ford, and Ram could haul. For those that already follow the truck wars closely, you’d likely know where the Chevrolet Silverado HD already ranks. The fun Thanksgiving math problem could be thinly veiled as consumer advice considering many small-scale farming operations use the company truck to haul their birds to local retailers. The numbers come from the University of Illinois’ claims that the average Thanksgiving turkey weighs 15 pounds. Ford’s F-450 Super Duty came out on top with the ability to haul 2,200 turkeys thanks to the absurd capabilities gifted to it partially by the copious use of aluminum throughout the body. The Super Duty’s max trailering capacity is 34,000 pounds, and it doesn’t hurt that its 6.7-liter Power Stroke V-8 Turbodiesel kicks out 450 horsepower and 935 pound-feet of torque. In second place you’ll find the Ram 3500 with 2,081 turkeys hailed. Its 6.7-liter Cummins I6 High-Output Turbodiesel makes 385 horsepower and 900 lb-ft of twist and helps give the biggest Ram a max trailering capacity of 31,210 lbs. Of course, this was based on the Ram 3500 Heavy Duty Limited leaded with all the bells and whistles, including a Mega Cab. Numbers could change if configured specifically for hauling. Bringing up the rear is the Chevrolet Silverado HD with a (relatively) low 1,487 turkeys hauled to market. 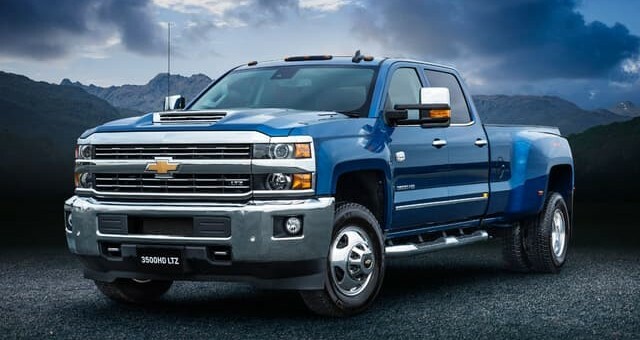 It’s 6.6-liter L5P Duramax V8 Turbodiesel produces 445 horsepower and 910 lb-ft of torque, but even though the engine is on par with its rivals, the rest of the truck is not. 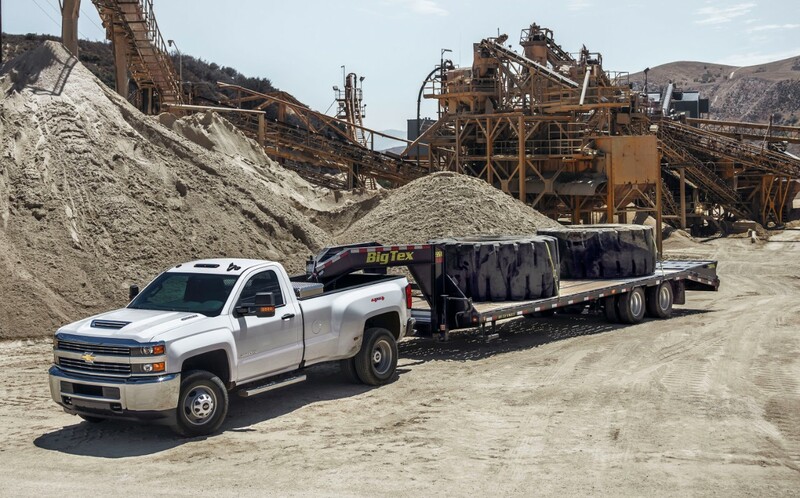 At 22,300 lbs, the towing capacity of the K2 Chevrolet Silverado HD is nearly 10,000 lbs short of the Ram, and it falls short of the Ford by an even greater amount. Maybe the next-generation Chevrolet Silverado HD can win this turkey towing trophy. Cummins 6.7L V-8? Comparing a 3500 to a 450? Does anyone write real articles anymore? Yet if you hook all 3 to the supposedly inferior max GVW of the Chevy, and climb a big grade, the Chevy will do it fastest and using the least fuel……real turkey. Cummins tends to fall on it’s face pulling more than what the Chevy is rated for. But hey, the brochure says otherwise! Not to mention these tow ratings are based on whatever the manufacturer wants, not the J2807 standard. Meaningless if you ask me. Can someone tell me why they always compare the Ford F -450 against a Dodge 3500 and a Chevy 3500? The 450 is a heavier duty truck with a Dana 110 square tube rear end its really a medium duty. Just like the Dodge 4500 and the new Chevy 4500’s let’s compare apples to apples. But I guess it depends on who is ” sponsoring” the study. These studies are done by children right?